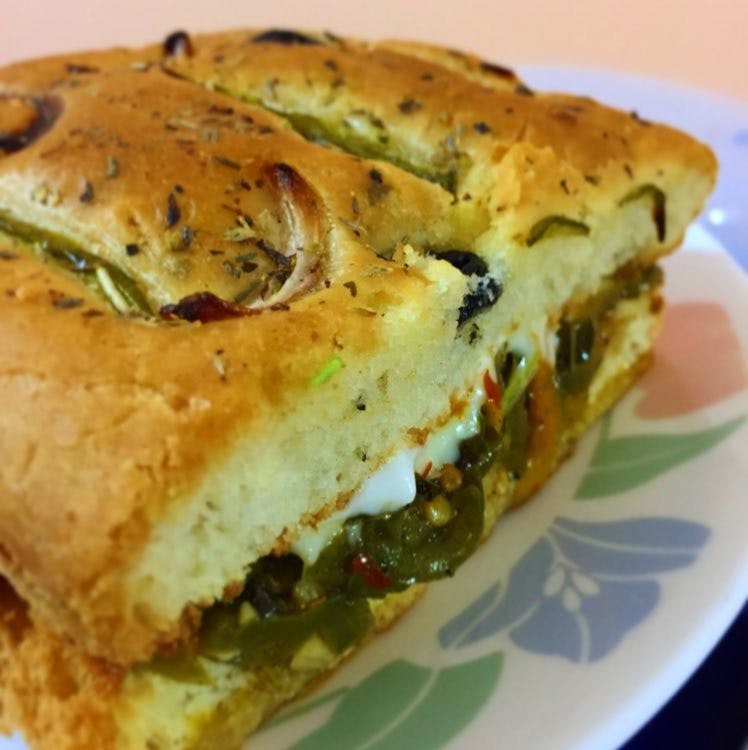 If you are the kinds that love a good hearty sandwich on a chilly afternoon - sink your teeth into the vegetable focaccia at The Munchbox in Kharadi. A generous helping of sautéed veggies and cheese stuffed in between focaccia , it's enough and more for a monster appetite too. Sadly for meat-lovers, no non-veg option is available. It's freshly baked, moist and grilled to perfection! The bread is always yummy here and the service is super prompt. Order a side of fries and you are set! Hardly any parking - so it's best to order in. If you stay far away from Kharadi - then eat at the restaurant to avoid soggy sandwiches at home. If you don't like capsicum, best to stay away.